I picked my first jalapeno pepper from the garden yesterday to make this recipe. I don't know if because it was just picked but....that little sucker was volatile! 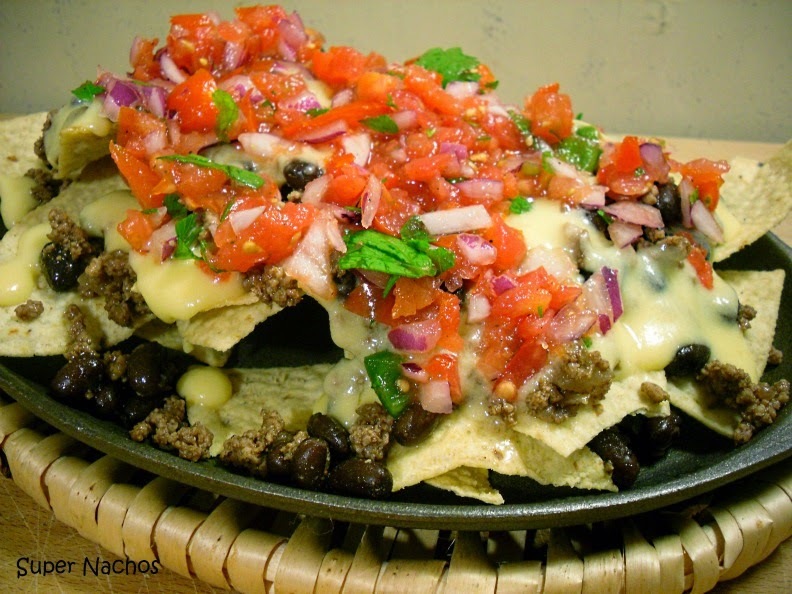 This recipe for the nachos called for two jalapenos; one in the Pico de Gallo salsa, and one in the beef and beans. I used half of this jalapeno for each, but if you prefer it hotter, stick with the original recipe. Combine salsa ingredients in a bowl and set aside. Heat a medium skillet over medium-high heat. Add oil, garlic, onion and pepper to the pan and saute 2 minutes. Add meat and crumble with a spoon and cook until no longer pink. Season with salt, chili powder, cumin and cayenne pepper sauce. Cook 5 minutes. Stir in beans and reduce heat to low. Simmer until beans are heated through. In a medium saucepan, melt butter. Add flour and cook for a minute or two to take out raw flour taste. Add milk and bring to a simmer and cook until thickened. Off heat, add cheese and stir until melted and combined. Arrange a mixture or tortilla chips on a platter and pile it up! You can add sour cream, chopped scallions, black olives, sliced avocado and really make them SUPER! I don't think there is a btter word for these than "Yummo! -- nicely done. Sure makes me hungry! Oh WOW!! 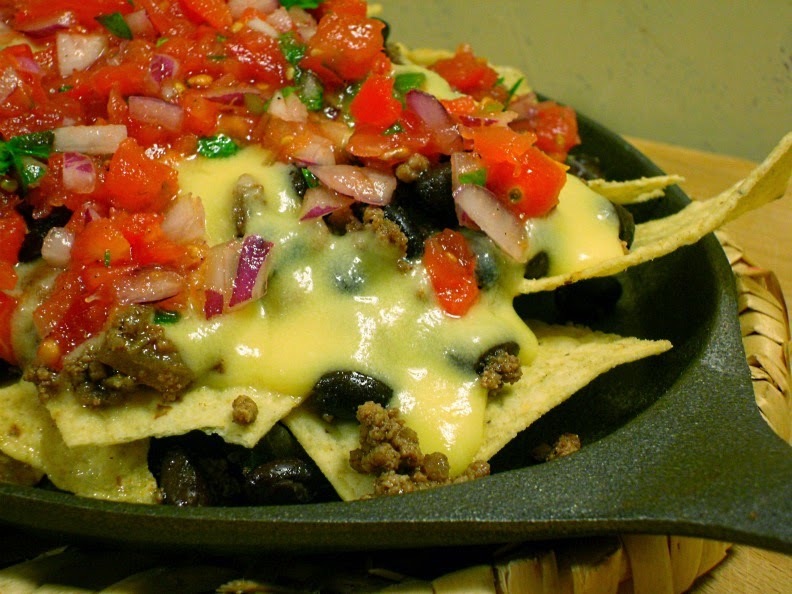 These nachos make me want to come over with some beer and hang out (read: not share those with anyone!) These look fantastic!!! Holy Nachos Batman! Patti, have mercy on me please!!! I definitely got this one saved!! Time for Basil Pesto Cubes! July 4th Picnic, Potluck or Party Ideas!